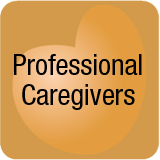 Professional Caregivers – Individuals working in the health and caregiving industries are called professional caregivers. Many with big hearts and good intentions find themselves trapped in situations that are overwhelming. Some professional caregivers change professions due to poorly managed stress. For professional caregivers training and education is the key to being able to continue to manage the demands of a caregiving career. 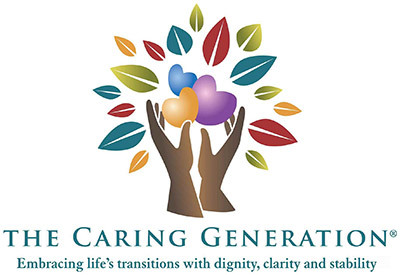 I initiated and participated in a court hearing for an older adult client who was the victim of elder abuse resulting from retaining the services of an in home companion caregiver. When the theft initially occurred, there were questions about proceeding to report the elder abuse crime especially since the items in question, a diamond ring and necklace were recovered. The in home caregiver was contacted by the employing agency and returned to the home of the client wearing the jewelry. How many times does your resident, client, co-worker or parent say, “kids today – I wonder what they’re thinking?” If we are honest we might include ourselves in this group — never wanting to admit we might be at the early stages of thinking like our parents. It’s a scary thought! You see them on city streets, behind cash registers in your place of work. You try not to stare. Your eyes become fixated on a tattoo or maybe several piercings above the eyebrow, small metal rings clinging to a lip or nose; pants hanging practically down to the knees showing an expanse of underwear above. You wonder what is it that makes someone want to molest their own body or to have so little disrespect that their underwear becomes a personal statement. Managing in home caregivers requires thought and planning. Abuse occurs when caregivers become like “family” and professional boundaries are crossed. While many individuals will need in home care at some point, the assumptions family caregivers make about the agencies or individuals you hire often result in dissatisfaction. Issues exist on both sides, the side of the caregiver agency and the issues that family caregivers and clients unintentionally cause because they are looking for a “friend” rather than services provided by a professional caregiver.